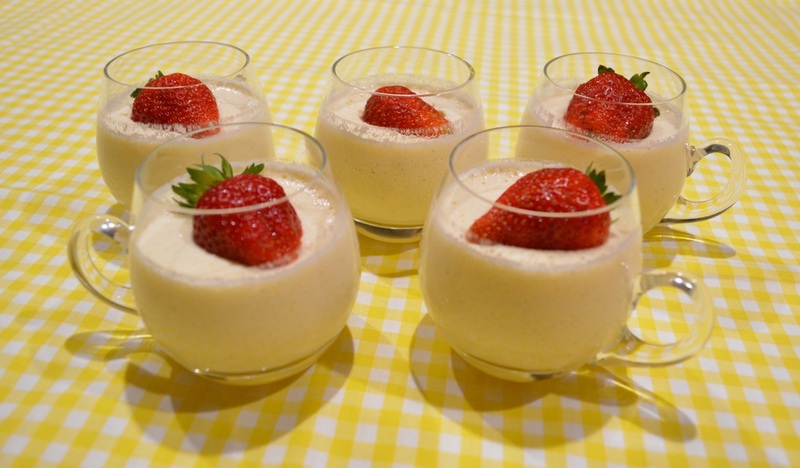 I love lemon based desserts, always have, I find them fresh and just delicious. This dessert is not one to blow your mind one with lemon flavour like a lemon tart would, this has a delicate, beautiful, subtle lemon flavour. It looks great and can easily be made with ingredients you have in your pantry. I recently for Halloween topped this dessert with my summer berry lime compote and can I say, it was amazing, it was even better than just serving it with fruit. You can find the compote recipe at www.whatscookingella.com/blog/summer-berry-lime-compote2. This is a great topping for ice creams, a sauce for cakes or cheesecakes, it is absolutely delicious. So if you are looking for a light, delicate, delicious dessert, try this one, it won't disappoint and definitely try it with my compote. Place egg yolks in a large bowl with the sugar and beat with an electric mixer until pale and creamy. Add the cream, milk, lemon rind and vanilla in a medium sized saucepan over a medium to high heat. Bring almost to the boil, but don't allow to boil. Immediately remove it from the heat. While the cream is heating up, sprinkle the gelatine over the water in a small heatproof bowl. Place the bowl over a pan of simmering water. Stir until the gelatine is dissolved. With your beaters on low speed, gradually beat the cream mixture into the egg mixture in the bowl until combined. Transfer the mixture back into your saucepan. Place over a medium to high heat, whisking constantly for about 4 to 5 minutes or until it thickens slightly. The mixture is done when it coats the back of a spoon. Whisk the gelatine mixture into the cream mixture. Place the saucepan in a sink of iced water, don't let the water get into your bavarois. Whisk until cooled to warm. Beat the egg whites in a clean small bowl with electric beaters until soft peaks form. Gently fold into the cream mixture until combined. Carefully spoon into your serving glasses (3/4 cup capacity). Refrigerate for 3 hours, or until firm. Decorate with lemon strips or berries before serving, or serve with my summer berry lime compote as pictured below. 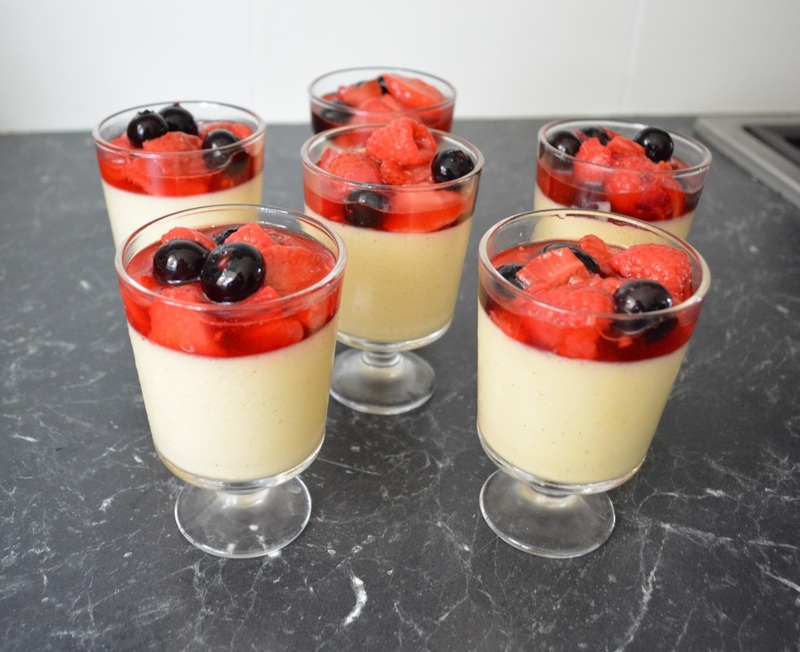 Lemon Bavarois topped with my Summer Berry Lime Compote. This is absolutely delicious.